Trout season is here, Thousands of stocked rainbows. Trout fishing season in Victorian rivers opens at midnight on Friday 31 August, 2018. This may just turn out to be the best trout season ever. Why? you ask. Well fisheries Victoria have been mighty busy in recent weeks. 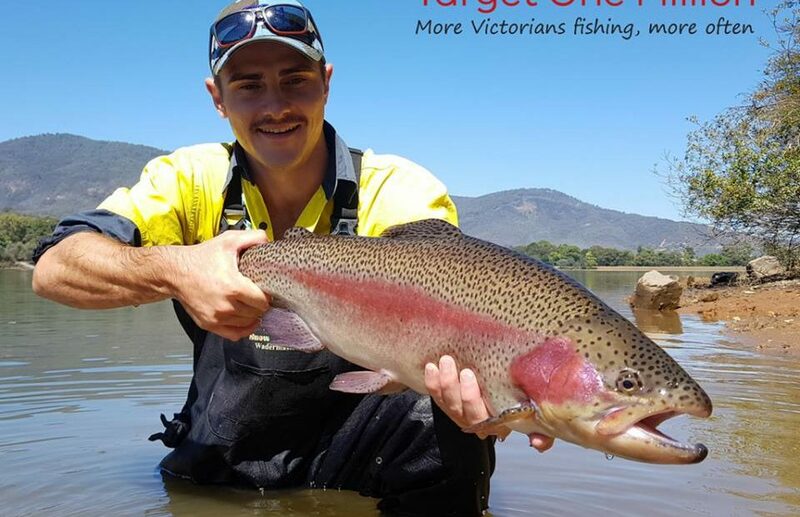 They have undertaking a massive release of stocked trout in areas around the Goulburn river and Eildon pondage. In fact they have released 2,000 rainbow trout, up to 4kg in weight each around 7 tonnes in combined weight in just the first 24 hours of trout season opening. The biggest 24-hour stocking event in Fisheries’ history. The Goulburn river is already an iconic place for trout fishing in Victoria. This hype generated through great work of Vic fisheries will only bring more anglers keen to get into the action. Fishing festivals will be held on opening weekend as part of the Goulburn fishing festival. Known names and faces in the industry there to show their support. There will be fishing clinics, fly fishing tutorials, cooking demonstrations, kids activities and raffles. Already only 48 hours after opening we have received countless fishing reports. 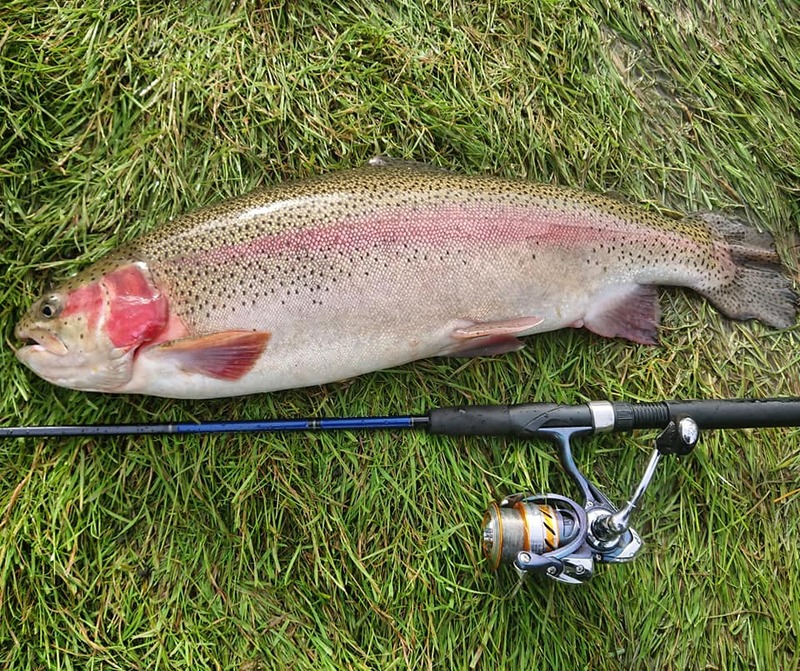 Anglers have travelled from Melbourne to Eildon or the Golburn river with a prized massive rainbow trout already. Many keen anglers leaving in the early hours of the morning to be the first on the scene. Anton Davies is one local angler who was keen to get into the action. He took of for Thornton hours before opening to be there and ready. He managed to catch several PB trout flicking an old trusty Rapala CD F9 hardbody lure, and a range of soft plastics. For Anton its a big thrill to catch a trout of this size. He has put countless hours fishing local rivers and streams which rarely provide trout to this size. To beat your PB size trout several times in one day is as good as it gets. Below is a map which shows the trout releasing locations and prime spots for you to target in the coming weeks. shallow diving hard body lures in trout colours have been a standout. The old Rapala countdown series still a popular choice. However other good options are bullet lures, minnow imitations soft plastics and bug imitations such as cicadas. As usual fly fisherman are having great success casting flys over shallow edges. Bait fisherman also having some success with scrub worms and power bait. Been great to see many images of young kids catching some big fish. Its a great opportunity to bring the family down, there are many family suitable accommodation locations in the immediate area so bring the family down and try to land a trout of a lifetime. If you have important news that you think should be shared on our website and social media pages then please contact us with specific details.